Friends, I am so excited to start sharing the patterns for my Outlander blocks with you! 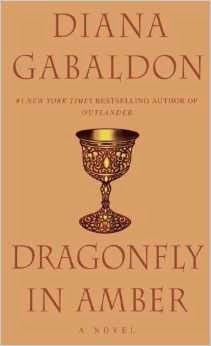 As many of you know, I am a long-time fan of the Outlander series by Diana Gabaldon. I can remember listening to all 25+ cassette tapes of the first book as I traveled between my place in Virginia, to my parents house in Connecticut, and back. I think the "cassette tapes" is a good indication of how long ago THAT journey was. When I pulled into my parking space after the return trip my neighbor saw me crying uncontrollably, and kept asking what was wrong?!?! I tried explaining to her I was only weeping because of what had happened to Jamie, how much I loved him and Claire, how she had to read this awesome book....I don't think my tears "sold" the book to her that day, but after so many years talking up this series, I'm sure I'm not the only one who has had to convince others with a soggy "no, really (blubber-blubber) you should (sniffle-sniffle) definitely read these books!" appeal. After finding Fandom in Stitches through Daisy, and seeing the incredible fan-related blocks over there, I've wanted to start an Outlander "fan" quilt. With the upcoming TV series, I felt this was the perfect time to get going on a set of blocks that could be used in any size quilt. I'll tell you up front, while I don't have a finished quilt or layout in mind yet, the blocks I'll be posting over the next few months will all be about 8-12" square and able to be trimmed down at least 1-2" to meet the size you'll need for a final quilt. 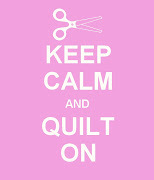 I am also a fuser (I do fusible, not hand, applique), particularly when it comes to quilt design. I love the simplicity and speed fusible applique allows. My patterns can be adapted to traditional needle-turn applique or embroidery though, so you go with how you like to make them! Here's block 1, based on the cover of the first book, Outlander. I've left my blocks plain for now, with the intention of adding embellishment (machine quilting, beading, embroidery...anything goes!) later, when I pull all the blocks together for the final quilt. Click here for Block 1. Click here for Block 2. I hope you like these first 2 blocks in the series! There are definitely more Outlander blocks to come, so watch this space for those and more Outlander-related news. I see lots of beading in your future! So glad you are creating these blocks! 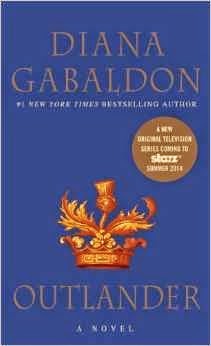 I love the Outlander series! Really impressive. I'm always inspired my embroiderybut feel that I may lack the patience to apply myself properly. I love your colour combinations. What fantastic information and photos. 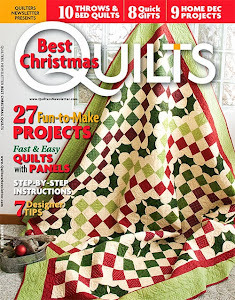 These are the closet I'll get to seeing the details on those magnificent quilts so thanks so much. I was wondering if quilting went through the inking and now I know. I have your wonderful boom and it's very inspiring, your work is sensational.